Coin collector newsletters, magazines, periodical, and numismatic publications are a vital and essential resource for those who take coin collecting and numismatics seriously. Because most coin collecting activity involves buying, trading, and selling coins, knowing exactly how the coin market operates is necessary in making your coin investments and efforts worthwhile. Pricing references and coin market trends and fluctuations are illustrated in these enlightening and highly informative numismatic publications. Any avid coin collector can track just how well a particular coin is faring in the market by paying close attention to the price charts in the major numismatist publications, newsletters, and even in coin collecting on-line magazines. Subscribing to and reading these coin collecting publications is a perfect way to keep on top of the latest coinage issues in either local or foreign currencies. Renowned coin experts all over the world publish on-going series of columns and articles to keep readers and subscribers up-to-date on every relevant news or information they need to know about coins. They also publish the latest information on where up-coming events such as coin shows, auctions, and conferences are taking place. Many of these publications have classified ads of coins for sale or for trade, and are often printed in full-color layouts and complete with the mintage details along with order forms. They even list directories of coin dealers as well as all the latest coin collecting equipment and supplies on the market. Without a doubt, the goals and objectives of every coin hobbyist are described and illustrated in every coin collecting publication. Whether you take advantage of the yearly subscriptions in the printed editions, or sign up for them to read online, you are sure to get your coin’s worth of great information regarding what’s hot and what’s not in the coin collecting and numismatic world of today. 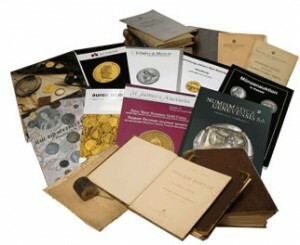 Here are just a few of the fascinating and most in-depth coin collecting publications available. The Coin Dealer Newsletter – popularly called the Greysheet, and profiles ‘raw coins’ or those coins not certified by other grading systems. The Certified Coin Dealer Newsletter – commonly referred to as the Bluesheet, containing references to generally accepted values for certified coins. Coin World – the best and most independent source of information about all aspects of collecting coins, paper money for more than 50 years, and is the most widely read and circulated publication for coin hobbyists in the world. Numismatic News – provides weekly reports on market trends and news concerning collectible U.S. coins and paper money, the source for collectors since 1952. Coin Market, a comprehensive U.S. coin retail price guide, appears in the first issue of each month. Popular columns include Coin Clinic, Making the Grade, Facts about Fakes, Under the Glass, On the Scene and Item of the Week. More than 40 years of hobby know-how and coin collecting perspectives. COINage – Since 1964, this publication has been a leading name in numismatic publications, offering a fresh perspective of numismatics for the experienced coin collector and an introduction to key concepts for the novice. Provides informative and entertaining articles to attract new people to the hobby, with stories, current events, as well as historical pieces about the people, places and events associated with coinage. It also feature insights from the hobby’s leading authorities, color illustrations and an updated price guide. Canadian Coin News – Canada’s premier source of information about coins, notes and medals, covering the entire world of numismatics. Includes information on new and old issues, as well as commentary, investment tips and Canada’s most up-to-date listings of Canadian coin and paper money prices. Coin News – publishes the latest on coin news, numismatic articles, and coin collector tools. Bank Note Reporter – published monthly, providing the latest news articles for paper money collecting. Coins Magazine – published once a month with a Coin Value Guide, and the latest news articles on coin collecting. World Coin News – monthly publication with highlights of new coin releases from all currencies in The World Coin Roundup section. Coin Prices – bimonthly issues featuring U.S., Canadian, and Mexican coin and paper money values. NumisMaster.com – features real-time pricing, daily updates from teams of coin and paper money experts, a must-have tool for dealers and collectors, providing timely analysis of market trends, precious-metals market fluctuations, and auction-prices.